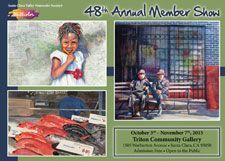 Each year SCVWS members exhibit their works in an annual show. Members can enter one work and the works are judged by an outside juror. Visitors also vote for their favorite work, which wins a "Popular Choice" award. 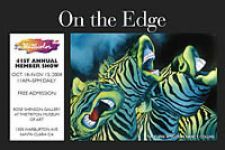 Click an image below to view the award winners for the annual show that year. "Sing a Song of Color"